The Court process takes too long. Attorneys cost too much. Plus, Mom and Dad agreed! They switch to a week-on, week-off custody arrangement. The kids are older, it works. Dad starts paying support directly for the benefit of the kids. He pays for the child’s car and insurance, and picks up health insurance which was previously mom’s responsibility. Dad does not pay mom directly. It’s about the same money, probably. What could go wrong? But if we agreed what’s the big deal? The big deal is that the new Agreement is not worth the paper it’s not written on, if not approved by the Judge. At some point in the future, and it never fails, Mom and Dad have a falling out, again. Mom goes to an attorney and tells him that Dad has not paid child support in two years. Mom sues Dad for Contempt for all of the “back” support and then “un-agrees” to the custody change and goes back to an every other weekend schedule for visitation. Dad counter sues for a custody modification seeking custody now due to mom’s change and contempt over the health insurance issue. The only sure thing now is that each may well be in contempt and the Court is left to sort it out. 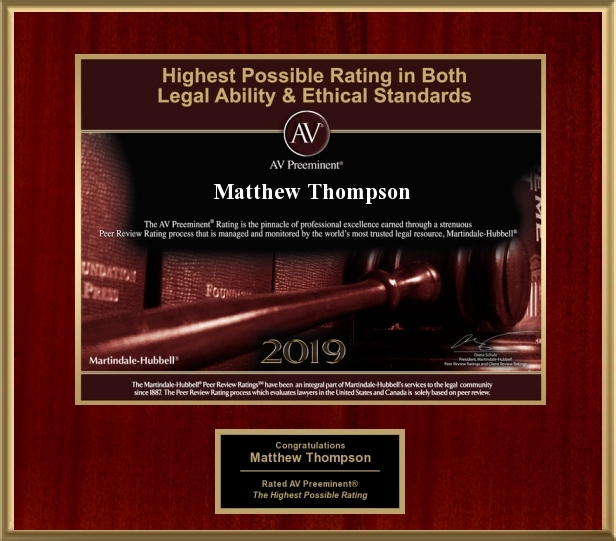 Matthew Thompson is a Family Law Attorney in Mississippi that handles Modification of Custody and Contempt actions for failure to pay child support and reminds you to pay your support early, often and keep good records!